Remove the drivetrain and front suspension frame skid plate, if equipped. Refer to Drivetrain and Front Suspension Frame Skid Plate Replacement. Simplified Graphic. DO NOT remove the warm up three way catalytic converter. Remove the 2 turbocharger oil return pipe bolts (1). Release the turbocharger oil return pipe connector (4) and disconnect the turbocharger oil return pipe from the engine block. Remove the turbocharger oil return pipe (2) and the gasket (3). 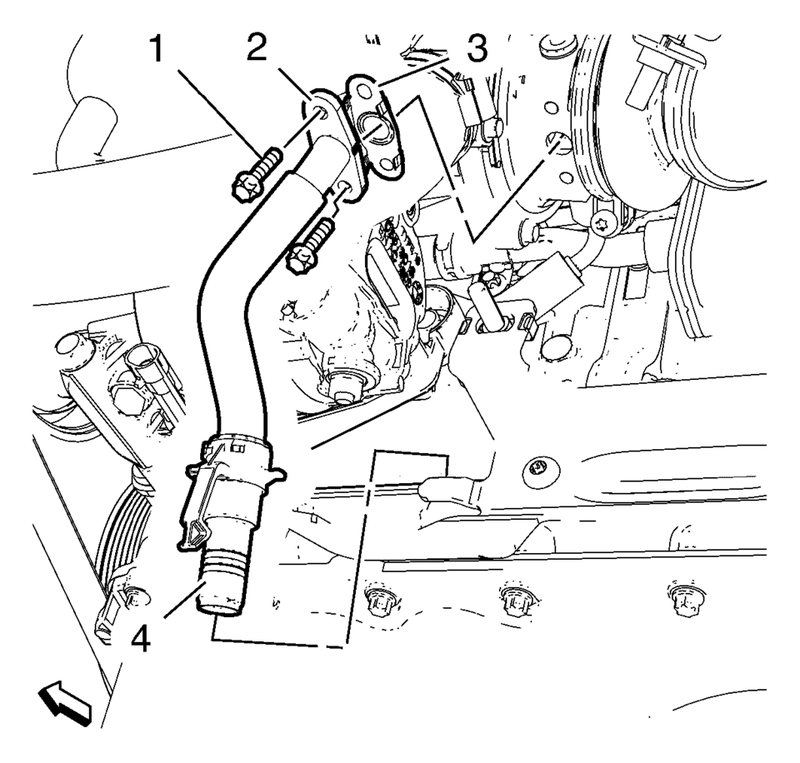 Install the turbocharger oil return pipe (2) in compound with a NEW gasket (3) and connect to the engine block. Install the drivetrain and front suspension frame skid plate, if equipped. Refer to Drivetrain and Front Suspension Frame Skid Plate Replacement.